Welcome to the Mary Jane Underwood Stryker Center for Civic Engagement (CCE)! 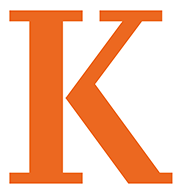 About two-thirds of Kalamazoo College students work in the community every year, through community-based courses and in Community-Based Student Led programs. Students who are Federal Work Study Eligible can be paid to work in selected programs! Learn more information by clicking this link. Civic Engagement Scholar Applications are open! Apply to be a CES for 2019-2020. Check out the applicaiton and requirements by clicking this link. Have additional questions? Curious about something not covered on the webpage? If so, feel free to contact Emily Kowey, Post Baccalaureate Fellow for the CCE.